OTTAWA - Abu-Ghazaleh Intellectual Property (AGIP) is proud to announce the opening of its liaison office in Ottawa, the second in Canada after Montreal. The new office will bring AGIP closer to its clients in Canada seeking protection and enforcement of their intellectual property rights worldwide. 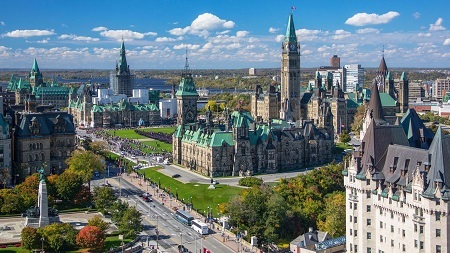 Ottawa liaison office will serve as a bridge between Canadian clients and AGIP through promoting all IP services offered by AGIP covering trademark, patent, copyright, design and domain name registrations, in addition to renewals and actions related to infringement, opposition and cancellation. Furthermore, the office will help Canadian clients to manage their IP portfolios, and will advise on the best way to manage their IP Records as well. It is worth mentioning that AGIP Ottawa liaison office will complement and support our existing offices by dealing with a broad range of services offered by our mother company TAG-Org in the fields of Management and Financial Consultancy, Educational Consultancy, Economic and Strategic Studies, Professional and Technical Training, Business Advisory Services and Translation services.